Why do we keep all these books? I recently moved to a new house — for the third time in 6 years- and found myself immersed in tons of carton boxes full of stuff. Apart from the constant battle of what to keep and what to leave, which for me normally have the ‘keep” side winning even if this time I have made an effort, I was shocked by the number of “cultural items” I bring with me wherever I go. So the question was: WHY? I am sure not all culture make you “move” with all this baggage, I guess it is normal in other countries, and in the US for sure, to travel lighter and have a much smaller footprint, it could also be generational. Art: this is obvious. We buy it to put it on a wall and look at it from time to time. If we have enough walls why should we not keep it? Music: we can always listen to the same record again and again, so keeping them make sense. True that in the Spotify age, when I can listen to anything anywhere as I wish, I don’t need vinyls and CDs anymore. Anything that lose the status of “needed” sublimate to a more emotional place, like with paintings when photography came around. So keeping them is part of an experience of listening that gives a different emotional value, it’s not only about the music itself, it’s about the memories of when you bought it, who you were listening to it with and so on. Books: Why are we keeping them? We are definitively not reading them again and again like we can do with music unless we have some dangerous obsession. I came up with a series of reasons, but still not convinced they all make it up to a solid rationale. 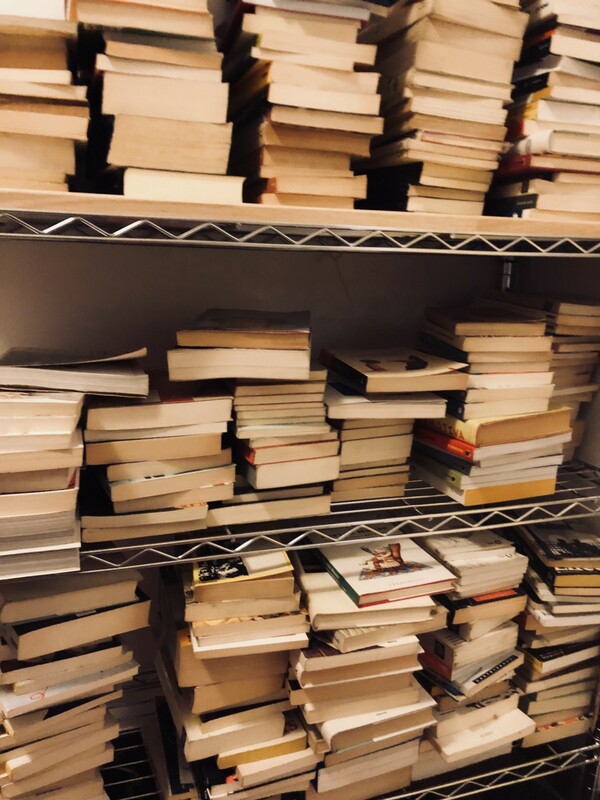 After writing the list, I am still not convinced, but yet I have all the books here waiting to find a new bookshelf or place in the new house, and I was only able to separate myself from less than 100 of them. What’s your reason to keep those books? Happy to hear comments and feedback, I am genuinely curious about it.